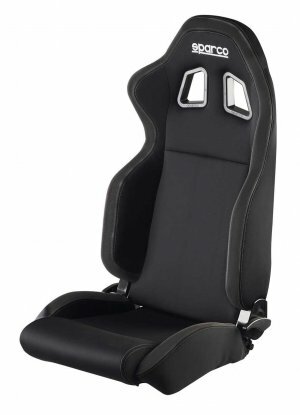 Drawing on our decades of racing history, Sparco has created an extensive line of street car seats that offer the ultimate in comfort and performance. Our ergonomic designs help cradle and protect the driver against even the most demanding lateral forces. The R100 is Sparco's latest incarnation of groundbreaking steel-model seats. It features redesigned bolsters for greater support and new padding configurations for improved comfort. This seat can be reclined using the double adjuster lever.